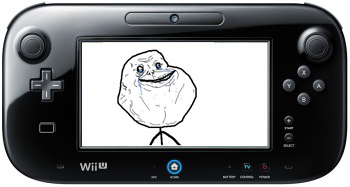 North American Wii U owners will have to wait for Wii GamePad replacements. While it's been confirmed that the Wii U can support at least two Wii U GamePad tablet controllers at the same time, none of the console's launch titles will require or support more than one. As a result, while Japanese Wii U owners will be able to purchase an extra GamePad for Â¥13,440 ($173), the controller won't be sold separately in North American territories, at least during the console's launch window. "Through the launch window, there are no games that leverage a second controller," Nintendo of America CEO, Reggie Fils-Aime, told Engadget. "And so, during the launch window here in NOA territories, we will not be selling at retail a second gamepad. But certainly, when the games come out, we'll be making that accessory available." At roughly $170 a pop - though rumor has it the NA price will be less steep - it's unlikely that many households will be investing in a second GamePad, but replacements will be required, especially when household proto-humans get their sticky, Ribena-coated fingers on the pad's delicate touchscreen. Anyone looking to replace the pad will have to contact Nintendo customer support. It seems to me like Nintendo is trying avoid consumer confusion with its initial lineup. The North American Wii install base was predominantly made up of casual and/or younger gamers, and at $170 apiece, I can see the average soccer mom mistaking the GamePad for an actual, standalone console. That would no doubt lead to some really awkward Christmas mornings.